DCM is a leading Silicon Valley venture capital firm. As a departure from the traditional corporate holiday card, our objective was to create a unique holiday promotion for the company with a format that recipients might be able to keep and even reuse. 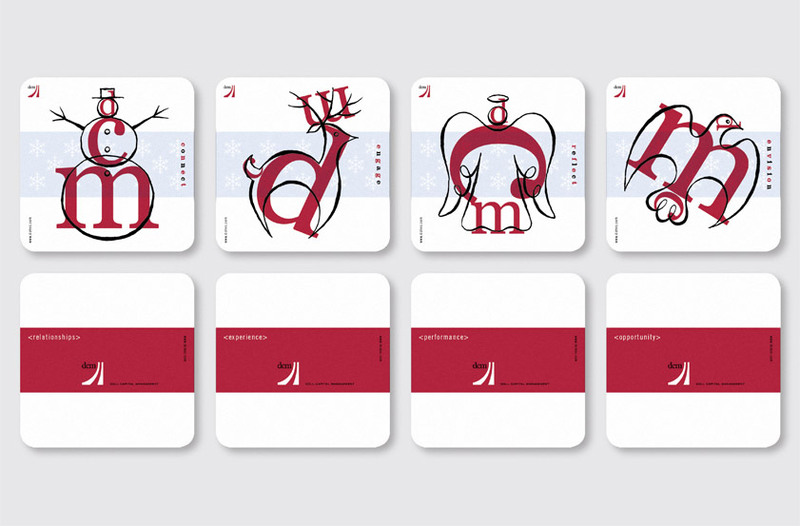 Our solution took the form of a set of functional, reusable holiday drink coasters. 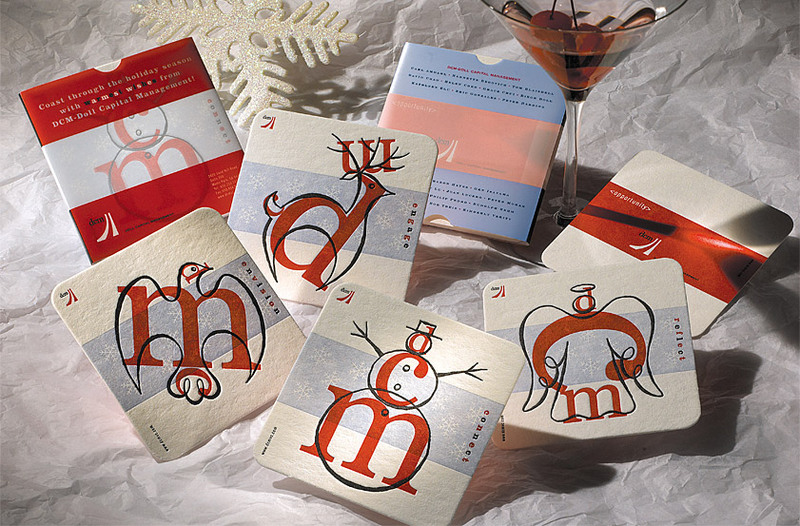 On the front of each coaster, the company’s DCM initials were used to create playful holiday symbols of a snowman, reindeer, angel and dove, accompanied by the holiday greetings of “connect,” “engage,” “envision,” and “reflect.” The back of each coaster completes the message while expressing the company’s core values of “relationships,” “experience,” “performance,” and “opportunity,” enabling the back sides to be used year round.